If your credit is already gone or one of the above isn't an option, go through Consumer Credit Counseling Services. Check your yellow pages for the local number. In this way you're paying off your debts as if you were in a Chapter 13 bankruptcy, but you don't file a bankruptcy. 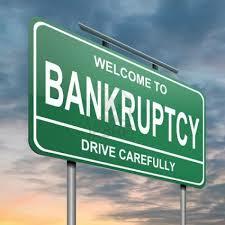 If you are so far in debt that you can never repay it, then the best solution may be a Chapter 7 bankruptcy. Chapter 7 is the least desirable credit wise, but you are typically out of bankruptcy in 6 months and you don't have to repay any debt. The disadvantage is that this shows on your credit report for 10 years from the date of filing your bankruptcy, and creditors are starting to tighten their credit requirements, and you may have a tough time getting future financing. Depending upon how complicated your financial situation is, you may want to consult a lawyer before proceeding.